As a business leader, the creation of goods or services to meet a defined need and creatively marketing those products to a specific customer group are bread and butter to you. Your skills here, (and the ability to inspire them in others) is why you are where you are. So as your business grows, make sure you are using these same skills to align and onboard your team and a bit of magic to your internal communications. Here, a little time and effort can reap dividends in terms of engagement. And it doesn’t just have to be about your latest product launch either. Why not shout about HR new news too? As well as helping you cover your a**e if someone gets legal – it’s a great way of demonstrating to the team that you care. Whoever they are, they are likely to be time-poor and anxious to get on with the day job. So chose your communications weapons wisely. Nobody likes a learning lunch – riding ruff shot over someone’s lunch break is not the way to make friends. If what you’ve got to say requires a presentation (does it really?) then try and add on to an existing slot such as team meeting rather than blocking more time out of others people’s diaries with yet another meeting request. But you will need to consider how to make your content stand out (see later). And remember too that different groups may need communicating to in different ways – this is relevant to both the communication medium and the messaging…. With the audience in mind, ask yourself what they really need to know. Strip the messaging down to the bare bones and tell them that. Have a clear call to action to where they can obtain further information if they need it – but for now just keep it simple. The best marketing presentation to a sales team I ever saw showed the new TV ad followed by just one slide (with accompanying sales presenter) ‘10 Things Your Customers Need To Know’. That was it – and the room was buzzing. However you chose to communicate with the team – you are going to be interrupting them somehow and some will always find this mildly irritating. Combat this, by giving them something cool in return. I once attended a ‘wellbeing’ session that was tagged on to a long monthly meeting. It was after the break and as we all returned to the room we were greeted with relaxing music, asked to take off our shoes and given free flip flops and all offered a shoulder massage during the presentation. Simple – but I’ve always remembered it. Ultimately you’re looking to make your audience feel special – even if it’s just for a moment. Because it’s in that moment that you’ve got their undivided attention. Step Away From The Slide Deck…. I don’t know about you but I hardly ever get anything through the post anymore. 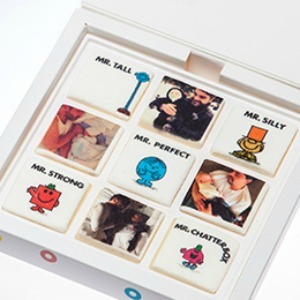 And you’ll get even more brownie points if you personalise it (marketing will love it). Check out our recent post Personalisation For Your Internal Customers: 5 Easy Ways To Make Your Employees Feel Special for more ideas. Incredibly important – particularly for those with a virtual team. But it needs to have its own content strategy where you develop establish trust with the user. Only then have you earned the right to tell them the stuff that you want to get across. Develop a useful blog with an approachable style that gives employees practical advice on how to ‘get on’ on your business. Profile these articles in a weekly newsletter to help build a following. When you’ve got you’ve got an engaged audience, then you can start to use this channel as an effective internal comms tool. Yes I know what I said about learning lunches, but it is possible to run an event whilst being respectful of other people’s time. Supermarket retailers (and their suppliers) are big on foyer events – particularly in the morning as the team head in to work. So why not introduce your wellbeing credentials with a freshly made smoothie and home-made energy bar. Or ‘celebrate’ the launch of new family-friendly policies with a family day. Here, the key to getting your message noticed, understood and remembered is relevance – so chose your event wisely and ensure it has some connection to what you want to communicate. For HR advice, software, contract templates, how to guides and more visit thehrhub – the ultimate online support system for SMEs and startups. And for a quick ‘leadership’ vitamin shot download our free eBook: Leadership 101: The Ultimate Guide to Being an Inspirational Leader. If your business is growing and you’ve got more customers and clients coming through your doors, then chances are you might be thinking about recruiting more staff during 2016. Of course, this can often be great news, and a real indicator that you’re heading in the right direction. But whether you’re completely new to the world of recruiting staff, or you’ve got masses of experience, you need to recognise that there are some costly mistakes that you need to make every effort to avoid. And even seasoned recruiters aren’t immune to wasting cash when it comes to appointing new team members. Your budget is extremely important (and can disappear very quickly!). So to ensure that you get the most out of it, here are just three reasons why you could be spending too much money on recruitment and how to use the cash more wisely. When we think about vacancies, we often think about advertising them. And there are a few options that often seem like no-brainers. Perhaps you’ve got the local newspaper on your list, or the online job board that keeps popping up that you’ve always used. These can be great places to start in certain circumstances, but this doesn’t necessarily mean that they’re right for your business. So imagine for a second that you’re looking for a highly experienced individual from a very specific background. What publications will this person typically read? What sites would they read? Which radio and podcast shows will they listen to? Which events will they go to? (Hint, hint: these are not always recruitment fairs). Once you establish where your ideal candidates will be, you can make steps towards putting your vacancies in front of them in a compelling way. This is the only strategy that will ensure the best return on your investment. You’re fully aware that we’re living in a thoroughly modern age, and you have a wealth of gigantic opportunities right at your fingertips. Your marketing department is no doubt tapping into this, so if your HR and recruitment practices aren’t keeping up, then you need to ask yourself why. Perhaps at the moment, you ask your candidates to travel to your office at each stage of the recruitment process. It’s time consuming for everyone involved, and there’s often a hefty bill that needs to be covered. But is it really even necessary? Why not instead hold initial interviews via Skype/ Facetime, and save yourself a whole load of time and hassle. Often, candidates will appreciate this approach as their time is precious too, and it’s important to recognise that. To find the right person for your business, you’re going to have to spend some cash. That’s inevitable, and it can be a very wise investment for the future of your operations. But get it wrong, and it could be something that proves to have far-reaching consequences. Take your time, plan your approach, and make sure that you’re not trying to manage everything on your own. For more advice and a step by step guide on how to find and hire the very best, check out our WhitePaper: How Great HR can Help you Scale your Business. TheHRhub is here: the ultimate online support system for SMEs and startups. If you speak to most leaders, they’ll probably tell you that they have a pretty good grasp things happening in their workplace. You probably feel like you have your finger on the pulse, and know exactly what’s going on beneath the surface: there’s small talk over waiting for the kettle to boil you hear; chit chat at the last drinks ‘do’; and then there’s the IMPORTANT discussions held in the meetings you’re part of. Here’s the thing though. Strong leaders take it one step further. They know that if you really want to excel and get the boost felt from a little Employee Magic, then you need to delve a little bit deeper than that and really listen to what your teams are saying. How do you think we could improve the business? Sometimes, you’re so involved in your own business that it’s hard to see the wood for the trees. Your staff are working with your clients and customers each and every day. They’ll often have an advanced understanding of what’s really happening. So find out how they think you could move forward. You could pick up some amazing ideas, and it could do wonders for engagement and morale. Improving productivity could have a real impact on your profits. Your staff know what’s expected from them, but are you giving them the support they need? Maybe you could roll out a system that automates a trickier part of their daily activities. Perhaps you could in new software or technology to cut down on the time that’s spent on certain tasks. Or re-route sign off channels which just annoy rather than add any value. It’s about supporting your staff to be the very best they can be. What are we doing within the business that is no longer necessary? Outdated systems and procedures could be costing you a fortune and ensuring that you play small. It could be time to ditch the things that aren’t working, and start moving towards the future. Your staff keep things running on an operational basis, so it’s likely that they’ve got plenty of thoughts to share. Where do you want to be in the next 2/3/5 years? If you’re not nurturing your team and doing your bit to keep them motivated and on track, then a time will come when they start to look elsewhere. When you know their ambitions and aspirations, you can consider how you can align these with your succession planning. How’s your work-life balance at the moment? Have you stopped to consider what your employees get up to outside of work? It’s important that they have time to relax and unwind. Ask about your employees’ families, children, pets, interests, and hobbies. How could you support them in striking an effective balance? Showing an interest is often greatly appreciated, and it could help you to get a better understanding of wider issues that are having an impact on your workforce. If you ask these questions this week, it’s guaranteed that you’ll unearth some extremely valuable gems when it comes to working out what makes your staff tick. P.s – If you’re secretly wanting to give your own leadership style a bit of a kickstart and want to take some action on it, then download our new eBook: Leadership 101: The Ultimate Guide to Being an Inspirational Leader. You may have been holidaying on Mars to avoid hearing about this one before, however a significant change for the lowest-paid workers in the UK is the introduction of the national living wage on 1 April 2016. This new minimum ‘living wage’ of £7.20 per hour will be introduced for all workers who are at least 25 years of age and companies who don’t comply could face fines of up to £20,000 per employee. For those aged under 25, lower national minimum wage rates will still apply. The Government has announced that the annual increase in the weekly rate of statutory maternity pay (SMP), statutory paternity pay (SPP), statutory adoption pay (SAP) and statutory shared parental pay (SPP) will not happen in 2016 and will remain at the current rate of £139.58 per week. Although the rates normally increase every year, a fall in the consumer prices index has meant the government have given no uplift for 2016/17. Same goes for Statutory sick pay (SSP), which will also remain the same at a rate of £88.45 per week. In 2016 the Government will be tackling organisations that use the term “apprenticeship” in job adverts where it is applied to describe a scheme that is not a statutory apprenticeship. There will also be an apprenticeship target for public-sector organisations and employer National Insurance Contributions (NIC) will be abolished for apprentices aged under 25 with effect from 6th April 2016. As you may know already, exclusivity clauses in zero hours contracts were banned in 2015 however new regulations that apply from 11 January 2016 aimed at addressing avoidance of the ban, give employees the power to make a complaint to an employment tribunal where they have been dismissed or subjected to a detriment following breach of an exclusivity clause. All employers which employ at least 250 employees – be they private companies or voluntary sector organisations – will be required to publish information showing whether or not there are differences in gender pay. Crucially, this will also need to include details of the gap in bonus payments – traditionally the least transparent element of pay. Further details on what this will mean for employers, including what they will need to publish and where, is yet to be disclosed but the proposed penalty for non-compliance with the new measures is a fine of up to £5,000. A new single-tier, flat-rate pension will affect people who reach State Pension age (currently 67) from 6th April 2016 onwards, providing that individual has contributed at least 35 qualifying years of national insurance contributions. Increasing the amount of notice to be given to an employer of strike action. For HR advice, software, contract templates, how to guides and more visit thehrhub – the ultimate online support system for SMEs and startups. Personalisation has been big in marketing in the B2C sector for a few years now. It plays on that feeling of familiarisation we get when someone speaks to us using our own name. And we all end up succumbing to the personal touch in emails and other direct mail sent to us, even though we know there’s no way that the manager of that dress shop/ garden centre / restaurant/ holiday company can possibly remember our name with all their other customers they have to keep track of…. For our internal customers – our employees, that is – it’s been decidedly less big. But for the same reasons you may embrace personalisation when it comes to your customers, sometimes it’s the little things that really make a difference to your team. A carefully worded note here. A small token of appreciation there. It’s personal recognition which all adds up to helping make your team feel special. 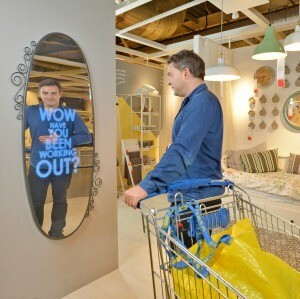 On taking over a new and battle-scarred team who had lost all confidence – a friend of mine took inspiration from Ikea’s Motivational Mirror stunt (where a Snow White-style mirror offered personalised messages to passing customers on their long trudge round the store). He got some handmade mirrors made with ‘You Are Amazing’ on the frame – and asked each team member to hang them by their desks so that they were reminded every day of how much their contribution was valued. But if you’re going to go that far, why not tailor the messaging even further and celebrate something they do brilliantly? ‘Steve – Your Spreadsheet’s Are Baddass!’, ‘Mary – IT Support At It’s Finest’, ‘Mike – The James Bond of Territory Sales’…. Ok, i’ll stop now. 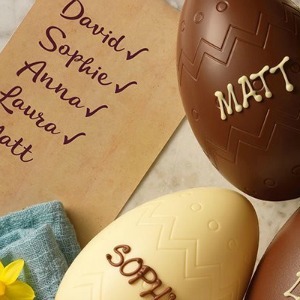 Inspired originally by my sugar-coated memories of Easter as a child, these named chocolate eggs have been hands-down the greatest hit with every team member ever bought for (regardless of religion – because let’s face it – Chocolate is agnostic!). So get ordering these cheap and cheerful numbers as we approach the season of bunnies and bank holidays. A word to the wise however – keep a couple of spares handy. 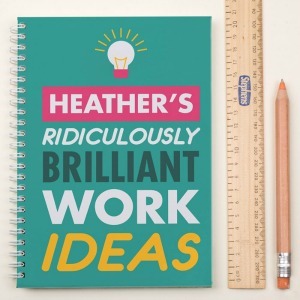 We love this personalised notebook designed to jot down the important, the brilliant and the… not so important and brilliant musings we all have. A mug is nice (but then you feel responsible for keeping it clean! ), a personal organiser a step too close to asking them to tidy their desk and a t-shirt too …unworn (or at least it will be!). But having one of these babies waiting for your new starter when they join your business is a great way to get them off to a flying start as well as give them a warm welcome. I don’t even like marshmallows. Or at least I thought I didn’t… until that is I came across Boomf having been given a super box of these for Christmas. Mallows with a difference, you can upload photos to them or use their own gallery for a group of 2 or 9 mallows or mallow pops. Try them for size on a team member’s birthday or other event (maternity/ paternity/ wedding?) and you can guarantee to have smiles all around. 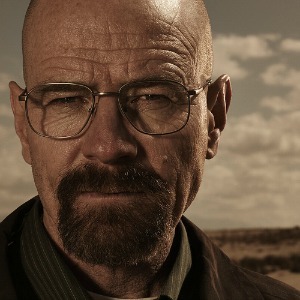 Listen to Destiny’s Child or (OK, have it your way…) Breaking Bad and “Say my Name”! The easiest way to personalise anything at work is just to use their name. As we’ve written about previously here, we all inherently want to be loved and appreciated. So get to know your team, find out what makes them tick and note the little things: remember not just their names, but their kids/ partners/ dogs names and ask after them. Write a card if you’ve time. Stop by and say hello if you’ve less. An ex-CEO I worked with used to make it his mission when in the UK to stop by and say Hi to as many of the team as possible: his superpower for remembering when he had last spoken to you and what you’d spoken about ( despite the fact that it may have been some months and thousands of conversations between) made him something quite special. For expert HR advice, software, how-to guides, templates, community forum and all the latest HR news and views – sign up to theHRhub today. We are the ultimate online HR support system for startups and SMEs – find out more here.